With the dedication of the middle school the Wilbanks family and friends helped assemble a collection of materials related to the life of Captain Wilbanks. 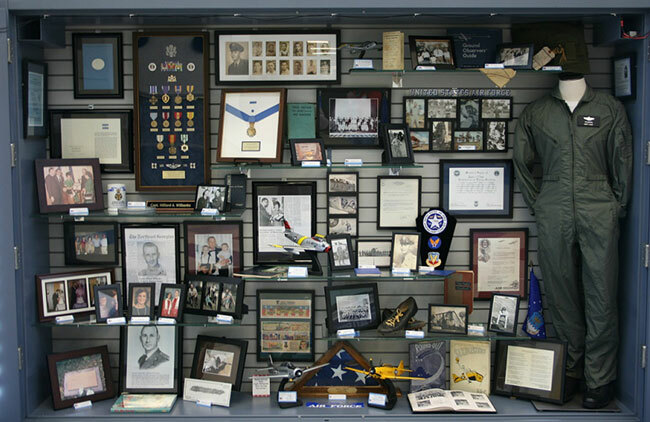 Included among the items are Captain Wilbanks' medals, uniforms, family pictures, Medal of Honor citation, and other items of interest. The museum serves as an educational aid for students studying American history and the Vietnam War era, and brings to life the person for whom the school is dedicated. 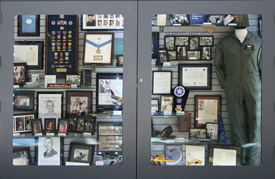 The Foundation serves as the caretaker of the museum for the school and the Wilbanks family. Patriot Pride Awards were presented by the Hilliard A. Wilbanks Foundation to sixth and seventh grade Patriot Pride recipients. On September 6, 2011, the Hilliard A. Wilbanks Middle School held its first Patriot Pride Breakfast. Each month teachers and staff nominate students who exhibit the characteristics of courage, sacrifice, and patriotism to receive this award. These students look beyond self to show care and concern for others, and go above and beyond what is expected of them. Two students are nominated from each grade each month to receive this award that was inspired by the life and heroism of Captain Wilbanks. It is the school's hope to carry on his legacy through the lives of these special students. Kerry Walker, Youth Pastor at Level Grove Baptist Church, prepares a meal for the students who are chosen for the award. The Hilliard A. Wilbanks Foundation recognizes each student with a special gift at their Honors Day Ceremony in May. Congratulations to each student who receives this award.